Do join us at the workshop “Formulated Products: Enabling innovation through value chain and cross-sector collaboration” which will take place on 28 May 2018 in Barcelona. 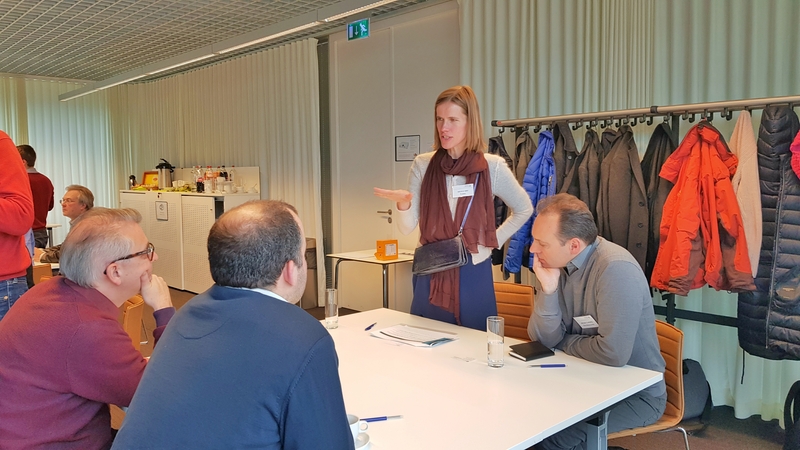 The workshop targets industrial and academic players interested in bringing formulation technologies to the next level through collaboration. For the program, registration details and other important practical information see the attached flyer or visit our website at http://formulation-network.eu/ under “News and Events”. You can also download the following flyer. 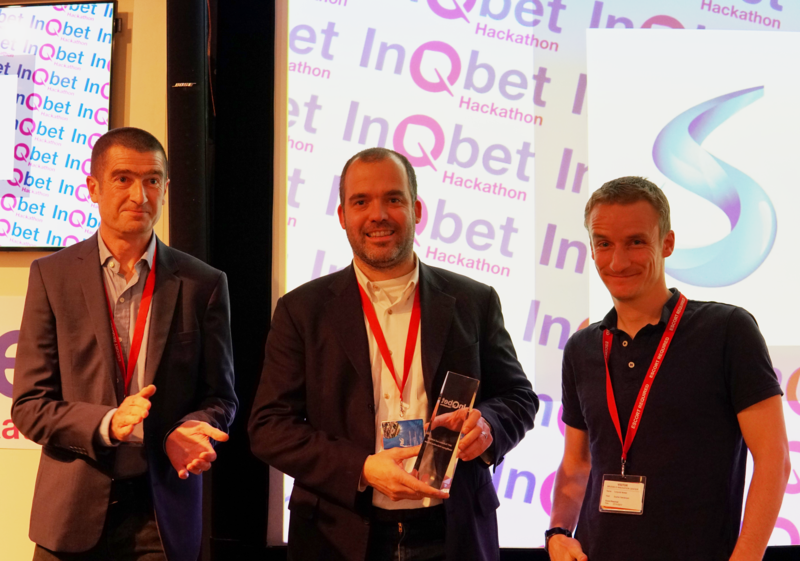 Last November, Flamac took part in the 2nd Robots and Artificial Intelligence Makeathon. 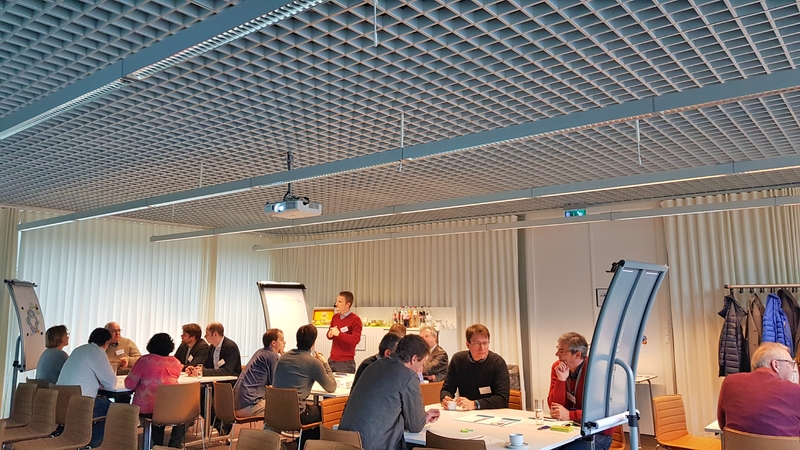 During one month, participants had been asked to brainstorm and develop solutions to tackle the biggest challenges in the field of robotics and artificial intelligence encountered by world-leading companies like P&G, Solvay, ABinBev or Puratos. In collaboration with Manetco, the Flamac team started to work on a Solvay challenge: the development of a robot for automated lab experiments which also boasts monitoring capabilities. After one month of brainstorming, concept designing, and intensive work, our team presented its project at the Makeathon Finals on 27 November 2017 at P&G in Brussels. We presented an innovative solution incorporating robotics, a smart camera and artificial intelligence which are able to operate, analyse and make decisions during a titration experiment. Thanks to the AI, the system is able to produce and monitor experiments in an autonomous way in order to generate data and learn by itself -making it more or less a chemical version of AlphaGo Zero. 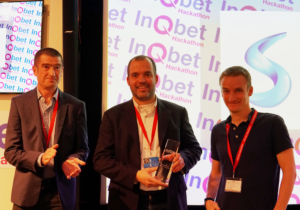 Thanks to our efforts and the resulting solution, we were able to convince the jury who granted us the Robotic and Lab Automation Award. Flamac and SampleQ collaborated together on a project with the IRMM (Institute for Reference Materials and Measurements), which is one of the seven institutes of the Joint Research Centre, a Directorate-General of the European Commission. They have now published the results of their research in an article on the ScienceDirect website titled Qualification of a precision pattern dispenser. In order to automate sample preparation processes, a precision pattern dispenser was designed to reproducibly dispense radioactive solutions at pre-defined positions. It is composed of an automatic liquid sample handling unit coupled to an XYZ table. Qualification tests were conducted to evaluate the performance of the instrument and to assess the compliance with the requirements, in particular trueness (< 2%) and repeatability (< 1%). The instrument allows preparing sources in different source holders and on air filters, in a fast and accurate way. 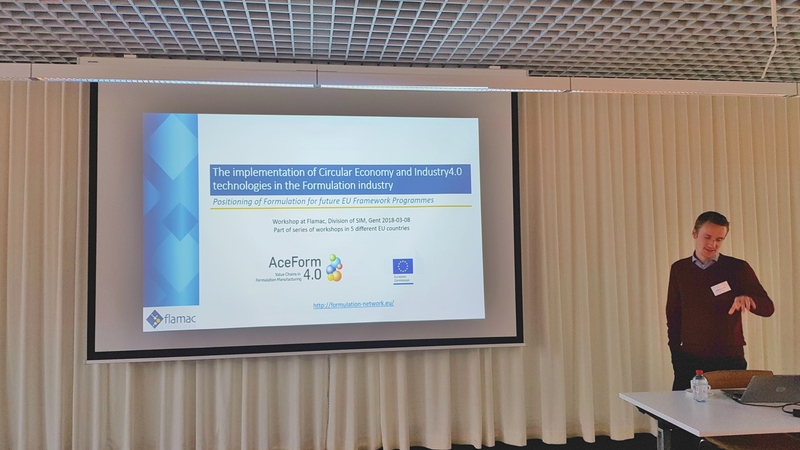 Within the context of AceForm4.0, a project funded by the European Commission within the Horizon 2020 program, and together with six other European partners, we at Flamac have been given the task to help define the European research agenda for the formulated products industries. A key part of this work relies on the identification of common technological challenges faced by the European formulation industries and all associated players along the whole value chain. In order to map out a research plan your opinion and input on the future of formulation technology and methodology is extremely valuable. If you would like to take the chance to provide your views and suggestions, we invite you to participate in the online survey that will be conducted from February to May this year. 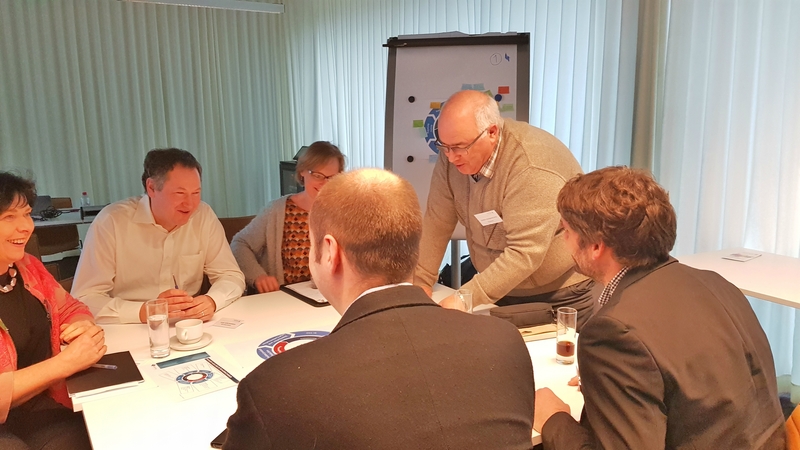 Main Purpose: To identify the common technological challenges faced by the European Formulation Industry and its associated sectors along the whole value chain. These findings will serve as guidelines for the allocation of European public funding for research and development activities during the next 5-10 years. Target audiences: industrial/commercial organisations producing formulated products/formulations as well all associated sectors along the value chain, these include: industrial/commercial organisations operating in close relationship to the formulation industries; the scientists and the research community as well as relevant Technology Platforms, Public Private Partnerships and Joint Undertakings. – The first two sections of the survey are dedicated to identifying the profile of the participant and the technical challenges and opportunities. – The third and fourth sections are exclusively dedicated to the identification of challenges and opportunities for the formulation industry in the context of the two mega trends Circular Economy and Industry 4.0, respectively. Duration: The survey will be conducted during the first and second quarters of 2017. What happens with the collected information? The findings from this survey will be analysed and translated into a common vision for sustainable formulated products and an implementation plan for 2025. One-to-one interviews and workshops will be carried out as part of the process to preparing this common vision. When and how will the outcome of the survey be made available? The results will be made available to the public on a continuous basis during 2017 and 2018 through the AceForm4.0 project website. 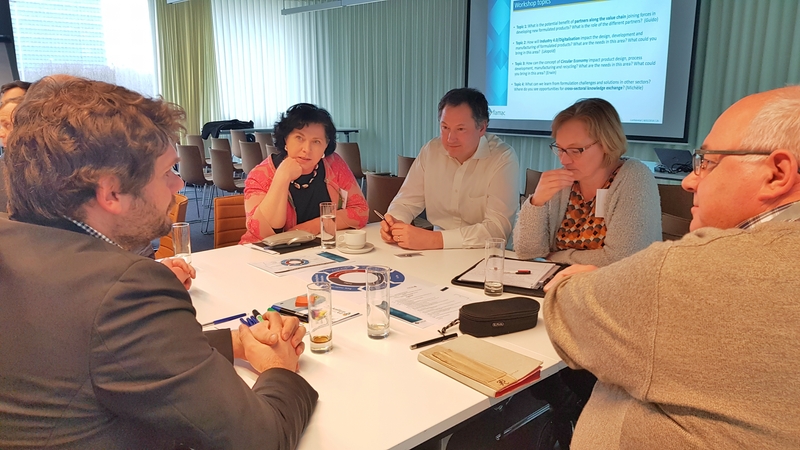 Thank you very much for taking the time to help defining a meaningful research agenda for the European Formulated product industries! Please feel free to forward this information to colleagues who you think might be interested in the project or in joining the EU-FIG. 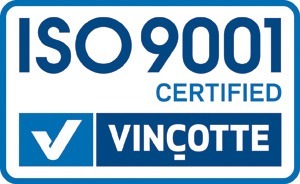 We are proud to announce that we have achieved ISO 9001:2015 certification. ISO 9001:2015 is the standard granted by the International Organization for Standardization (ISO) which specifies requirements for a quality management system (QMS) and monitors consistency in products and service to meet their exacting standards. This positive decision made by external ISO auditors is a well-deserved confirmation of the high quality of our services and processes. At Flamac we are committed to fulfil the requirements and to maintain the effectiveness of our quality system. 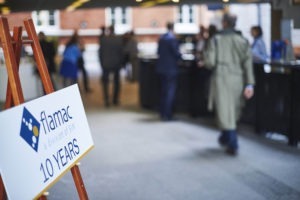 Congratulations to the entire Flamac team who have been working towards this milestone for some time. FLAMAC is excited to announce that its SBO project “SMART” has been approved by SIM & VLAIO. 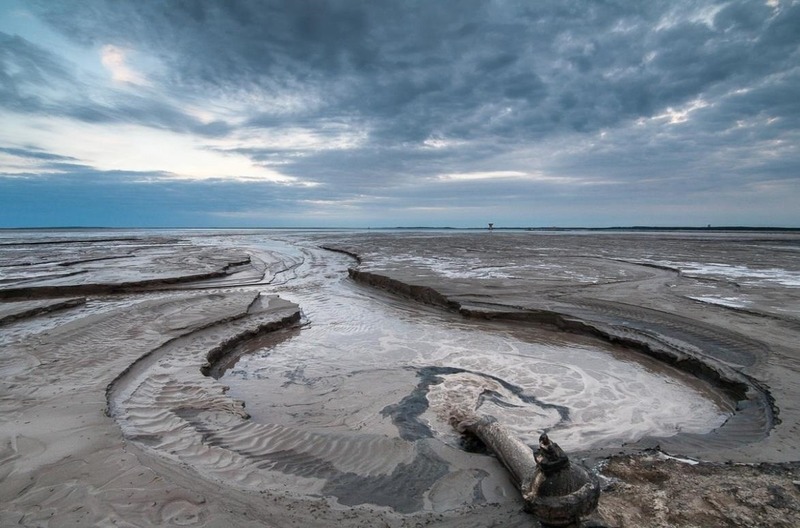 SMART stands for Sustainable Metal Extraction from Tailings. 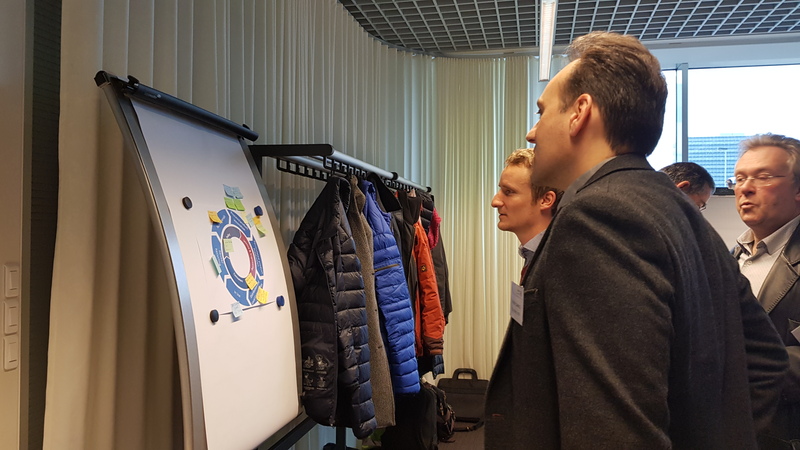 SMART is a strategic basic research project within the long-term SIM MaRes programme on “Materials from Solid and Liquid Industrial Process Residues”. This project is a collaboration of FLAMAC, KU Leuven, VITO, UGent and other Flemish companies. It is a unique project in Flanders as it is fully dedicated to finding zero-waste solutions for tailings, i.e. the materials left over after the process of separating the valuable fraction from the uneconomic fraction of an ore.
As requested by many, we have put our company presentation video online which was recorded during our 10th anniversary celebration on 1 June 2015, at de Bijloke in Ghent, Belgium. If you really want to know what Flamac is about, what we have been up to and what we have in store for the future, we highly recommend watching this!